Saying good bye because of personal slander. Recent events within this Forum have lead me to believe that free speech is dangerous, and that my input is not wanted or needed. For this reason, I will after posting this not be attending this forum any longer. After airing my opinions about lady violinist and the music business I was attacked and in not so many words called a sexist, a chauvinist! This was a personal attack upon my good self and I do not take this lightly. As I pointed out in a reply to this slander, I have been married to women in total for almost 40 years. I love women I think they are wonderful, and I have three marvelous daughters, two English and one Chinese. Also I particularly like to see a woman in a nice cocktail dress, very eye catching. A forum is somewhere that members should be able to share their views, opinions and ideas without the fear of attack, it is not a debating society! If you disagree, you simply say I disagree and leave it at that, after all it’s a free world, and like the press we should have freedom of speech. Besides don't we all want to be friends? I don't know you and haven't seen any posts from you before now, but from this post alone, I can't say I'll miss knowing you better. Dramatic goodbye, pouting because you were called a chauvinist, yet also mentioning women who look so eye catching in their little cocktail dresses while no mention of women's talents make me think who ever called you that MAY not have had to dig too far to find it. Then to say "A forum is somewhere that members should be able to share their views, opinions and ideas" but shut up if you don't agree with me, also makes me think we probably would not make the best of friends. I know you'll be back to read this but if you don't agree, just move on. We're a friendly type of board here for the most part and don't need to worry that the way we move or what we wear while playing might not meet your approval. From a strong, independent, tough Alaskan chick. I think some people like to say things that will provoke a reaction in others then sit back and watch the commotion they've caused. I personally try to not take the bait because then they've won the game...at least in their own mind. Your input here in this forum would be appreciated and your absence will be felt. Please allow all the other good members of this forum to sway your decision. You had patience learning violin, please have a little patience with our group. Don't you want to be friends with us again. Please reconsider your decision. You have about 40 years of violin learning (I say learning and not experience because we continue to learn. You would have heard Perlman on Beethoven violin concerto...'every time I play this, there is something new to be discovered".). We have here people at various levels, beginner to advanced. Not all will be interested in classical music. You will add value to the forum. Please reconsider your decision. Let us be friends again. Let us make the 4th anniversary(1st October) of the forum a great event. Well, considering what I have seen here as the damage to the site and to the members of years here from one new comer of less than a month and with less than acceptable manners, perhaps it's for the best. Personally, I don't see where any damage has been done to this site. What I do see though, are a bunch of narrow minded people. The whole problem with reading "text" is that no one reads what is actually being said, they just want to jump on someone's x$$. Then someone calls someone else a sexist and that starts the ball rolling for degradation to an accomplished violinist who has studied with some of the best. Get real, people and lighten up. Now, people, jump on my case for what I said and what I think. I just wanna be a better violin player. I got those "Why can't they all just get along", fiddle forum blues. I heard what you said. You know I adore you. Never would jump on you . The damage that has been done is two fold here. Not only has a couple of respected and very helpful senior members (or more!) been pissed off enough to just leave, you have no idea how many new comers saw what was going on, read the comments and then quietly left. That's just part of it and it's the obvious part. 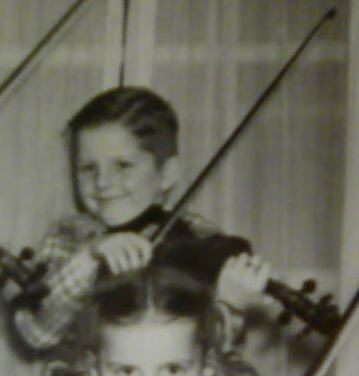 I never saw a video of him playing nor did I see any links as to the years of teaching he said he had done nor did I read of any of his students that went on to become accomplished violinists of the highest degree which is what I gathered from his comments. For all I know, he was just another troll like composer. If anyone has proof to enlighten me, feel free to pass that along here. I'd be very interested in seeing the result of a master violin teacher. I agree with your post about 100%.